When I used to think of salame, I would think of the old lunch meat on soggy white bread. My mind was recently transformed. 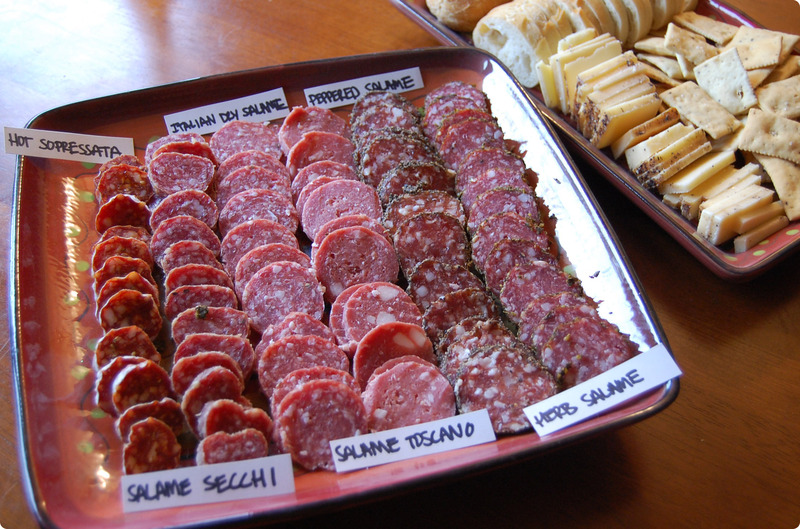 It was our pleasure to have the opportunity to receive an abundance of salame to create our own salame tasting party. I gathered a few of my closest friends and had them all taste from a wonderful plateful of Columbus Salame in a variety of flavors. While some varieties were liked more than others, all were devoured within an hour. Paired with a Bellavitano espresso cheese, french bread and black pepper crostinis, it made for a wonderful appetizer and great conversation. We tasted six different varieties including: Hot Soppreseta, Salame Secchi, Salame Toscano, Italian Dry Salame, Peppered Salame and Herb Salame. The Herb Salame won the overall best tasting voting and kept everyone coming back for more. The rind has a wonderful oregano accent that enhances the flavor of the meat. The Salame Toscano is a perfect traditional tasting salame, which I used the leftovers for in my Antipasta Chopped Salad (see below). I thoroughly enjoyed all of them. Who doesn’t enjoyed some good cured meat! Salame is great on its own and with a good piece of bread, but it also works great in recipes from apps to main dishes. I made this Antipasta Chopped Salad for lunch with the Salame Toscano and loved this little taste of Italy! 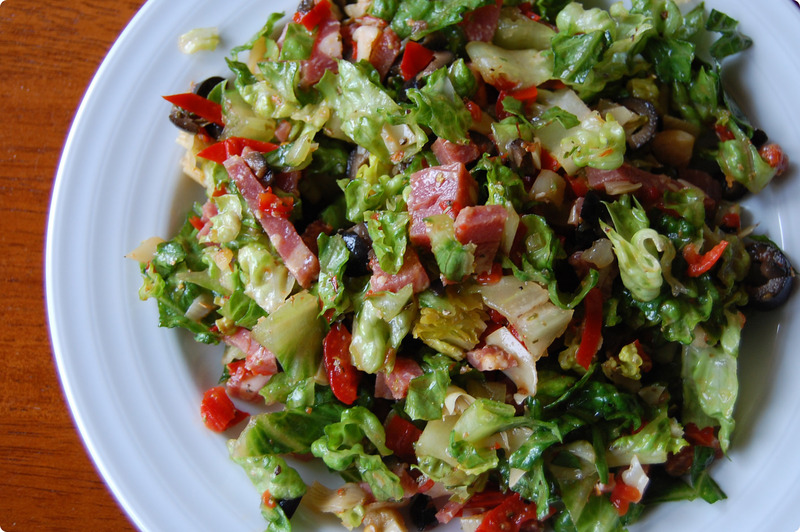 Add all ingredients into large salad bowl and toss. Drizzle marinade from artichokes over the salad, toss until lightly dressed. You will not need to add very much of the artichoke marinade because the oils from the other ingredients are pulled out in this salad. I would start with a tablespoon or less and go from there. This salad is a perfect first course to a classic italian meal like spaghetti or lasagna. It is also wonderful on its own for lunch or a light dinner. Looks delish! I’m making this tonight for friends- we’re having an “Italian Dinner” to plan our trip to Italy! You posted this at the perfect time- Grazie!! Definitely want to try this for dinner tonight!